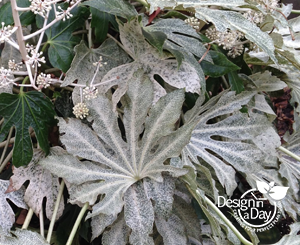 Large leaves of Fatsia Japonica capture the available sunlight efficiently. Think about it……………big leaves are like big hands. The more surface area the more light the plants can access. Having said that……this is a perfect example of the rule about how there are no steadfast rules. Our native huckleberry, Vaccium Ovatum has tiny but highly reflective leaves, ( such a rule breaker!) and it grows very well in a lot of shade. Sigh………..plants are tricky. Maurice Horn of Joy Creek Nursery and Lucy Hardiman of Perennial Partners presented a program for designers through The Association of NW Landcape Designers. I have been a happy member for nearly 20 years. Maurice and Lucy added plants to my shade plant palette and reminded me of plants that had slipped off my list over time. I will share just a handful of these plants with you. 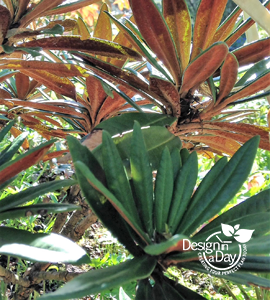 Lets look at just 5 plants: one tree, some shrubs and 2 groundcolor plants. 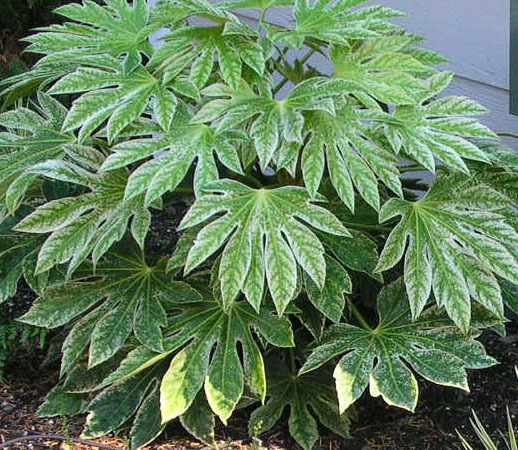 Most of these plants can take a little sun but my point is, they thrive in deep shade which is a difficult area for many homeowners to select plants for. Plant this beautiful Snake Bark Maple under your fir trees………Acer Tegmentosum “Joe Witt” Manchurian Snake Bark Maple This one is new to me. Fatsia Japonica (also called Japanese Aralia) This is beautiful planted as under story to larger trees. It is also my 3 Labrador dog yard plant so very tough and can take a fair amount of morning sun. Mahonia Nervosa and Vaccinium Ovatum are both shrubs native to the Northwest. The Vaccinium, a huckleberry plant will be more shade tolerant if you buy it from Boskey Dell Natives and ask for one that was dug out of deep shade. I have native huckleberry at my home on the Puget sound and it seeded itself and grows in full sun. The truth is the offspring of my plant (little rulebreakers) will prefer a sunnier location than if planted in full shade. This is all about natural selection. Here is a highly textural native fern called Adiantum Aleuticum, Northern Maidenhair Fern. This one has previously escaped my radar. 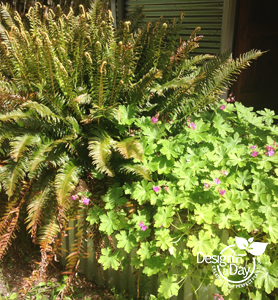 I use a lot of different ferns so nice to have another native one to use. Last of all (for now) is an evergreen ground cover ……..Beesia Deltophylla, I first met this plant at the famous Heronswood Garden in Kingston, Washington. 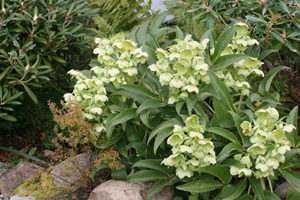 It is slow to bulk up but is such a low maintenance plant. It would be great to have more access to this plant. I found it recently at Portland Nursery and snapped up a dozen for a client. 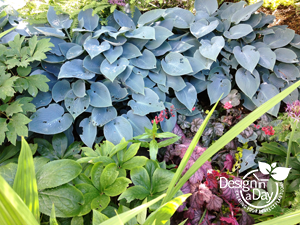 It won’t flower well in deep shade but the glossy leaves reflect light and are a huge asset in a deep shade setting.